Garden Bing Dwarf Cherry - Prunus avium sp. A dwarf sized tree of the popular Bing Cherry. It came from a bud sport by F. Zaiger and produces greatly reduced internode lengths producing a much smaller tree. 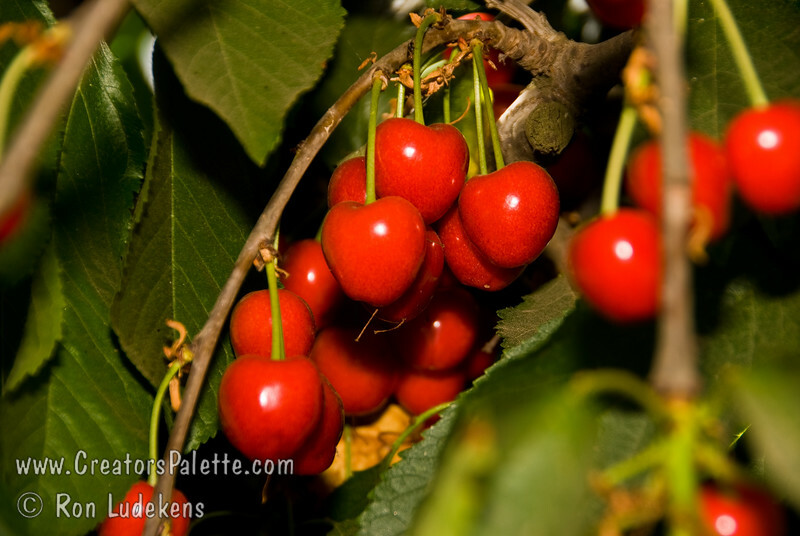 Fruit is similar to the cherries on the full sized Bing Cherry trees. L.E. Cooke stopped growing the trees as a percentage of the trees grown had a habit of reverting back to a full size tree - seems the buds were not stable to always hold the dwarfing size.